At least 18 people were killed and dozens more were trapped after a flyover bridge in Uttar Pradesh, India collapsed on Tuesday. 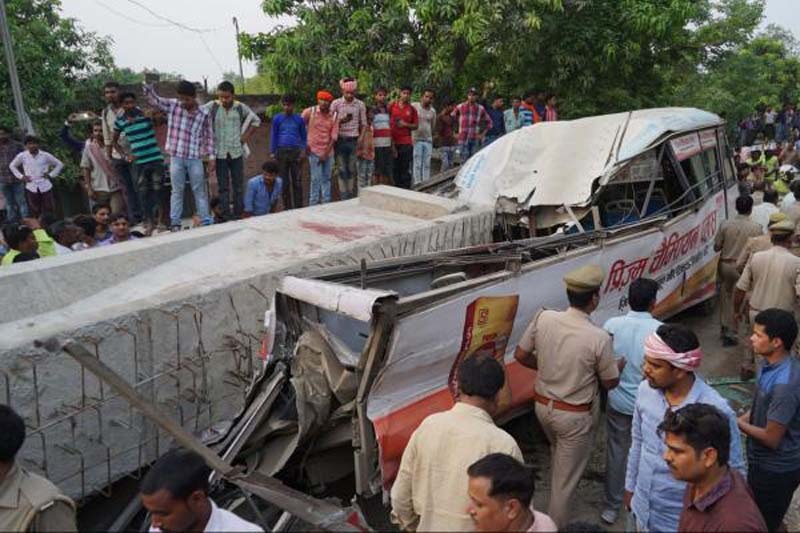 Nine vehicles were trapped under two concrete beams that fell from 40-foot tall pillars on the bridge, which was under construction in the city of Varanasi. Five teams of the National Disaster Response Force were deployed to carry out rescue operations at the scene, along with Army Medical Corps and police. "It is difficult to say how many are still trapped. Rescue work is on and our focus is to take out the people from under the rubble," a district official said. Three people were rescued from the debris and eight cranes were deployed to attempt to lift the concrete beams. Indian Prime Minister Narendra Modi wrote on Twitter that the Uttar Pradesh government is monitoring the situation and working on the ground to assist those affected. "Extremely saddened by the loss of lives due to the collapse of an under-construction flyover in Varanasi. I pray that the injured recover soon," Modi wrote. "Spoke to officials and asked them to ensure all possible support to those affected."